Do you love to read great history books? At the Fields-Penn House, we love to learn about history—the history of the antebellum South, the culture of the Victorian era, and the Civil War. We’re so excited about sharing our love of history with others that we’ve decided to start a book club! 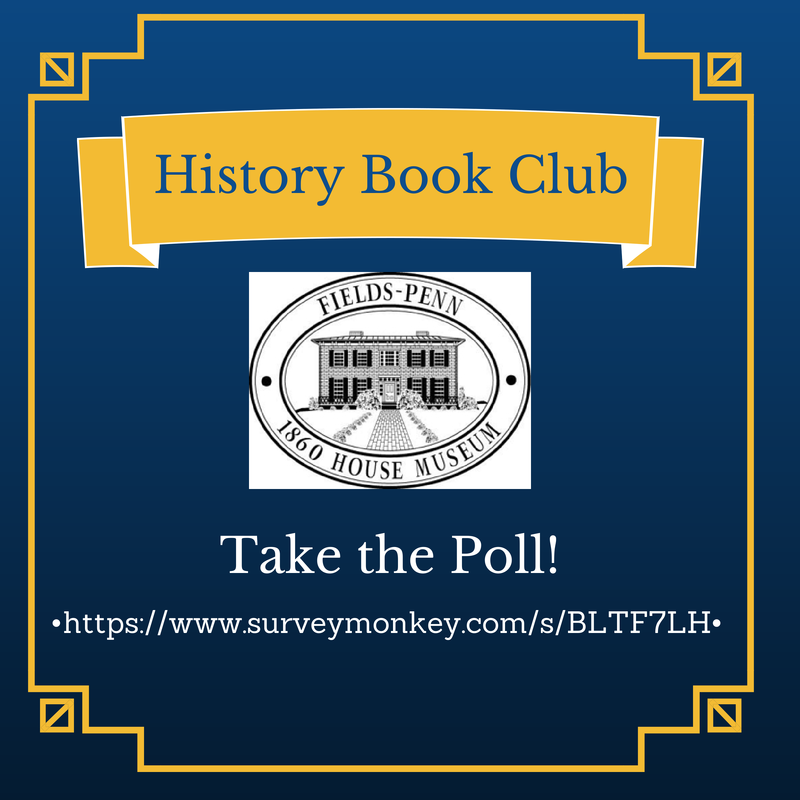 The History Book club will meet at the Fields-Penn House monthly. We need your help! Please visit our survey and let us know what you think about possible days of the week and times. We want to meet your schedules! How do I book a group tour?